While there has been radio silence here on the blog over the last three months, behind the scenes it has been anything but quiet. 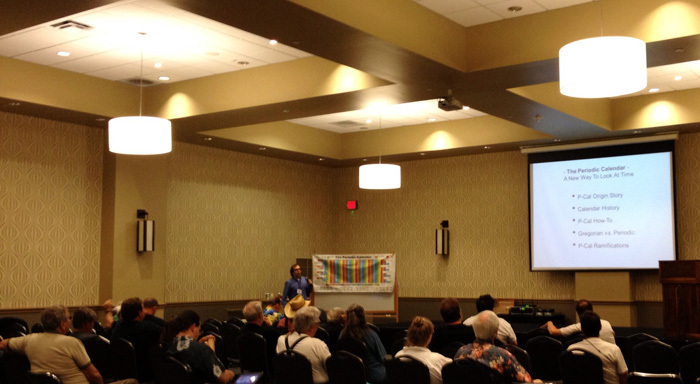 After spending April digging into the implications of the Periodic Calendar on our perspective of history, I dedicated May and June to the development of the hour-long presentation I had been invited to give at the Mensa Annual Gathering in July down in Fort Worth, TX. Although my fifteen minute presentation at Electric Works earlier this year was a fantastic experience, this appearance at Mensa was my first long form talk and there was more than a little pressure involved with preparing to face an audience from a high IQ society. Over two months I developed a little over 150 slides of material before paring it down to a fast and fun 120. It covered everything from my history of making calendars and the history of calendars themselves to a thorough breakdown of the Periodic Calendar system, comparing and contrasting it with our current calendar, before closing with a finale centered on our misguided history of talking about history. And despite being quite nervous leading up to it, once I got in the room, all of my preparation paid off and I found myself excited to be back in front of a crowd talking about one of my creations. Happily, I not only survived the trial by fire of the Mensa brain trust who turned out for the show, but got a strong, warm response in reply. There were a lot of questions in the crowd and the discussion continued for quite a while afterwards as a few Mensans hung around to get into some finer points of the Periodic Calendar with my six foot display copy. Of course I was already warmed up for such a conversation after spending the day at a table talking to folks as they went back and forth between other events at the Annual Gathering. 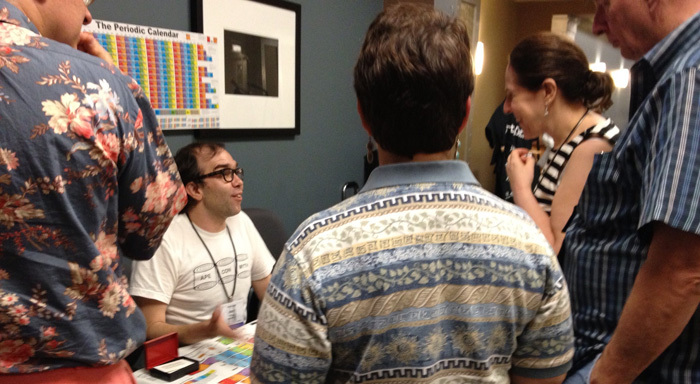 This crowd definitely “got” the Periodic Calendar and I had a blast engaging with such a smart and friendly bunch of people. What’s next?! Well, I returned home hungry to hit the road again and am pleased to announced that my wish has already been granted. 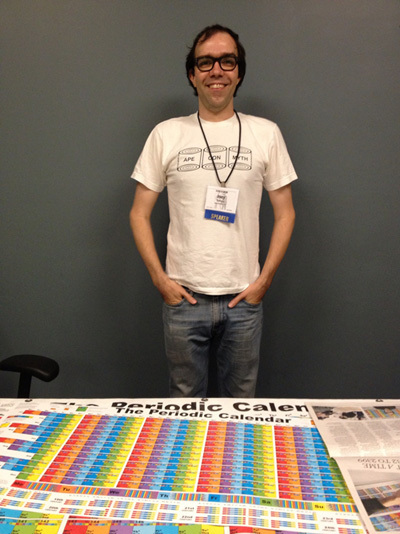 The Periodic Calendar has been accepted as an exhibit at the World Maker Faire next month in New York and you better believe we’ll be there!!! Get your tickets today and stay tuned for more details once we know where the P-Cal table will be situated at the Greatest Show and Tell on Earth!